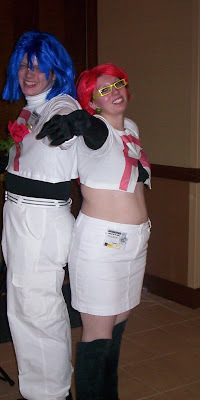 Now it's time for another one of my personal awards, this time for best Pokemon Cosplay! (remember, this is not official). 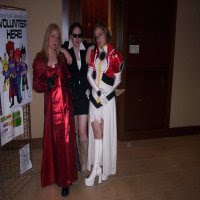 The winners of the AnimeIowa Pokemon cosplay are: Team Rocket! Simply for the sheer effort in this pose, the style, the flair, the yellow glasses! Conratulations to Team Rocket for capturing our prize for Pokemon cosplayers. Too bad, though, they still have not been able to capture Pikachu, and will not be recieving pay raises once again this year.